Does Dallas Have Enough to Push into Playoffs? Dallas failed to qualify for the playoffs for the second straight season last year. They finished sixth in the Central Division with 92 points missing the postseason by just three points. 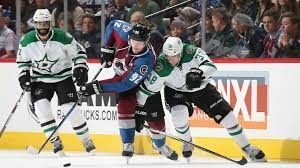 Our 2018 Dallas Stars season preview looks at whether a team that came close to extending their season past 82 games, is in a position to do so this year. Has this club done enough to assure themselves a playoff spot in what is a very tough division and conference? After completing research for this 2018 Dallas Stars season preview, we’ve found this team’s first line is among the most talented in the National Hockey League. 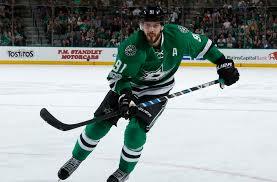 Last season, all three members of the top unit, Jamie Benn, Tyler Seguin, and Alexander Radulov, had over 70 points. Benn led the team with 79 on the year. He also had second best plus-minus finishing at +20. Seguin had the most goals on the team, hitting the 40-goal mark for the first time in his career. He added 38 assists as well. Radulov had 27 goals and 45 assists for 72 points. With both Benn and Seguin in their primes, as well as Radulov being able to produce at the age of 32, the Stars’ first line will be dangerous in the 2018-2019 season. The issue with Dallas’ forwards concerns their scoring depth. After Radulov’s 72 points there was a 38-point drop in offense production between him and the next highest scoring forward on the roster, Mattias Janmark (19-15-34). The Stars will hope the return of Valeri Nichushkin can provide some supplemental offense to the first line. Nichushkin spent the last two season in the Kontinental Hockey League putting up 52 points over both years. 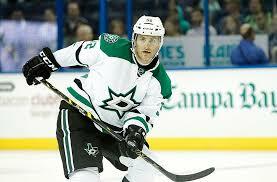 He was the 10th overall pick for the Stars in the 2013 draft and has 64 points in 166 career NHL contests. Besides Nichushkin, Radek Faksa (17-16-33), Devin Shore (11-21-32), and Tyler Pitlick (14-13-27) will be expected to contribute more on offense. The strongest area of the Stars’ lineup, according to our 2018 Dallas Stars season preview, is their blueline. John Klingberg has emerged into an elite offensive defenseman while flying under the radar. Last season he finished third among all NHL defensemen in scoring, putting up 67 points. He also played large minutes, averaging 24:04 per game. Dallas will count on Klingberg to lead their defensive corps. They also have very solid defensemen in Esa Lindell and Marc Methot. Lindell has eaten big minutes in each of his first two NHL seasons. Last year, he played on the top pair alongside Klingberg, averaging 22:05 minutes per game. Lindell led the team’s defensemen in plus-minus finishing the year at a +19 rating while adding 27 points. Methot’s first season with Dallas was derailed by injuries last year. He has been a very solid shutdown D-man through his 12 year career, and assuming Methot can stay healthy should make it even tougher to score against the team that allowed the seventh least goals last year. This team could see, according to our 2018 Dallas Stars season preview projections, the third overall pick from the 2017 NHL draft make his big league debut this season. Miro Heiskanen spent last season playing in Finland for HIFK of Liiga. He had 23 points in 30 games played. Heiskanen is project as one of the top defensive prospects in the world and looks about ready to make an impact as a second or third pair defenseman. Stephen Johns (8-7-15) will also be expected to contribute this year. Johns finished with a +10 plus-minus rating, and the loss of Dan Humhuis to free agency should translate to more ice time for the 26 year old defenseman. The Dallas Stars were able to strengthen their goaltending tandem in the offseason. That’s something our 2018 Dallas Stars season preview found they really needed to do. Ben Bishop will return as the starter while Anton Khudobin comes in to replace Kari Lehtonen. Bishop suited up in 53 games for the Stars last season, putting up solid numbers. His .916 save percentage and 2.49 GAA were both slightly better than the league average. He dealt with some injuries in the later part of the season but has been cleared to start the season. Bishop is a solid goaltender and playing behind Dallas’ defense should have another solid season. Khudobin spent the last two years as Tuukka Rask’s backup in Boston. He played well last season, seeing time in 31 contests and finishing the year with at 16-6-7 record. He compiled a 2.56 GAA and a .913 save percentage over the course of the 2017-2018 season. He should be a slight upgrade over Lehtonen, who had been shaky in recent years. The Dallas Stars project to be a fairly average team this season. 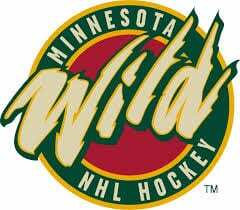 They have solid defense and goaltending and should have little problem keeping the puck out of their net. In concluding the research for our 2018 Dallas Stars season preview, we found the biggest issue is the depth of their forwards. Consequently, while the line of Benn, Seguin, and Radulov should be one of the most effective in the league, their scoring drops off tremendously after them. The Stars may be in the playoff push near the end of the season. However, this lack of depth may keep them from playing when April comes around.